With almost 40 years of experience in the call center industry, LaBell Exchange is Santa Ana's premier choice for professional phone answering services. Family owned and operated, our company is highly regarded throughout Southern California. We boast state-of-the-art communications technology, competitive prices, and prompt and courteous telephone operators. Our call center is open 24 hours a day, 7 days a week, to take calls and deliver messages for Santa Ana businesses. In addition to answering phones, our staff can schedule appointments, dispatch emergency response teams, act as a virtual receptionist, submit sales orders, perform inbound telemarketing work, and provide caller analytics and reports. Our clientele range from single-person businesses to multinational corporations, in industries ranging from property management companies to legal/criminal defense firms to healthcare/hospice agencies and more. Call LaBell Exchange today for more information about our services. We customize all our service plans and price our answering services according to usage -- no hidden fees and no long-term contracts. 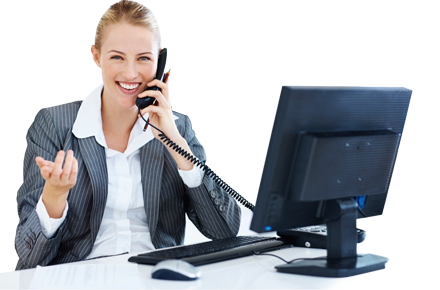 Our virtual receptionist services are a popular and cost-saving measure for many of our Santa Ana clients. Your dedicated virtual receptionist can answer your phones, direct calls, schedule appointments, and present ourselves as a member of your office staff, which is especially useful for smaller companies that wish to convey themselves as a larger organization. LaBell Exchange provides voice mail for companies of all sizes in Santa Ana. These voice mail accounts are always kept secure, but are also readily available at any time and from any phone when a pass code is entered. Voicemail messages can also be delivered to the proper recipient or their designees via email, fax, or .wav files, depending on your Santa Ana business's preferences and the needs. At LaBell Exchange, we use only the latest phone answering technology to administer surveys over the phone. We can perform all kinds of surveys for educational, municipal, medical, legal, commercial, and service-related projects, as well as disseminate information to callers from anywhere in the nation. Our operators can be trusted to follow your survey script exactly as approved, and we can provide call analytics and survey results upon your request or at regular intervals. We provide order and message taking services at our call center. Our company gives clients the option of having orders input directly into the website/system of their Santa Ana business or into our own internal content management system (using custom order forms). Completed forms and orders can then be submitted instantly or in batches to your business or fulfillment center. 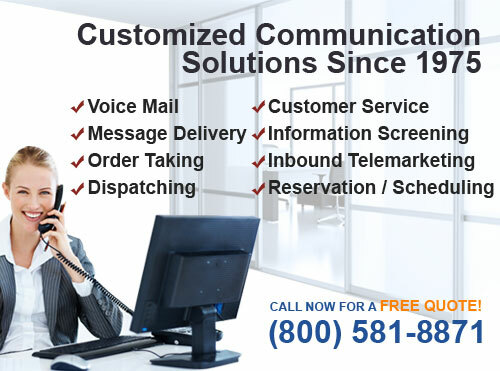 Advanced message delivery is part of our professional phone answering services. Our phone operators can deliver your messages by phone, fax, email, or text message. At LaBell Exchange, we customize each account to meet the unique needs of your Santa Ana business or organization. Our call center provides dispatching services for companies throughout Santa Ana, making it easy to connect your callers to your services. This service has been used by towing, taxi cab, crane rental, and roadside assistance companies as well as EMTs. LaBell Exchange's call center can serve as your own dedicated customer service department. Our operators can be trained to follow your specific script and protocols for handling callers, taking messages, and answering questions. They can also take orders, screen calls, or route calls. Santa Ana businesses can also trust that their customers will be well taken care of as our call center is a seven-time recipient of the exclusive ATSI Award of Excellence. We've worked on a wide variety of information screening projects for clients throughout Southern California, including in Santa Ana. Not only can our experienced telephone operators guide callers through detailed questionnaires, they can also answer questions, take messages, and direct callers to appropriate departments for further information. 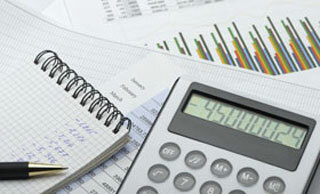 LaBell Exchange provides skilled inbound telemarketing services for companies throughout Santa Ana. We've worked with clients on mass email/mail projects that require a live-operator to take orders or provide additional information. As such, our highly regarded staff can take leads, guide callers through registrations and sign-ups, and collect information. We can also provide caller analytics and reports to help you gauge the success of your campaign. Our staff is highly experienced in managing calendars and scheduling reservations and appointments for seminars, conferences, campaigns, and more. We've worked on short- and long-term projects in all kinds of fields, and provide many customized call center options for our Santa Ana clients. LaBell Exchange has served Santa Ana's hospitals, clinics, hospices, rehab/crisis centers, and more since 1975. We are your trusted source for professional and reliable phone answering services, and are fully compliant with HIPAA guidelines to safeguard the privacy of your patients. Our call center operators have gained a reputation throughout Southern California for their caring and skill when working with callers in the midst of a health-related emergency (often immediately after a traumatic event). We're prepared to gently guide all callers, whether it's to take and deliver a message for the doctor or route the call to the appropriate healthcare facility or department. At LaBell Exchange, we understand that clients often call attorneys during stressful and time sensitive situations. Often, it is critical for the caller and the attorney to be able to connect to one another. That's why we provide skilled phone operators, supported by the latest call center technology, who know to stay on the line until your client can be patched through or to follow a very strict protocol for message delivery or caller screening. Our operators are available 24/7 and can even act as a virtual receptionist, scheduling appointments, taking messages, and answering common questions. Voicemails and calls are confidential and secure, and everyone on our staff signs nondisclosure agreements to help ensure attorney-client confidentiality. Because of our 40 years of experience, wide array of services, and completely customizable answering service packages, LaBell Exchange is able to serve the needs of nearly any Santa Ana business. We have extensive experience serving equipment rental companies, property managers, bail bond companies, plumbers, HVAC contractors, towing companies, doctor offices, dental offices, septic tank companies, municipal clients, and more. Whether you need a full-time virtual receptionist or assistance in handling high call volumes following a marketing campaign, LaBell Exchange has the experience, technology, and skill to provide the best phone answering services in Santa Ana--or even in Southern California. Our company is open every day, including weekends and holidays, to answer your calls. We also have bilingual (English and Spanish) telephone operators, as well as access to a third-party translation line so that we can fully assist all callers throughout Santa Ana.